BMW is well known for its powerful six-cylinder engines that they claim “the ultimate driving machine.” But when they come up with a four-cylinder engine that delivers near perfect match up to their signature claim, everyone turn their heads. That is exactly what is happening with BMW 428i. Models include the BMW xDrive coupe, convertible and four-door Gran Coupe. It is the most fuel-efficient four-cylinder, non-hybrid that you can find in the market today. BMW 428i comes with a 240 horsepower turbocharged four-cylinder engine with a 255 pound-feet of torque. You can rev 0 to 60 in just 5.5 seconds. 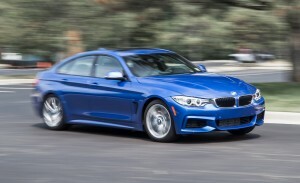 Compare this to its pricier 435i sibling that is only three-tenth faster but cost more. 428i comes with all-wheel drive or rear-wheel with manual transmission. Speaking of price, 428i starts with $41,700, not a bad price for a performance car. Most models come with M Sport package, Dynamic Handling Package and M Sport breaks that worth over $5,000. 428i’s fuel economy is also impressive. It delivers 23 city and 35 highway miles per gallon. Somewhat similar to 3 series body but starting from the 2014 models cars are wider and longer than previous models. You still feel the impact of a low rider. 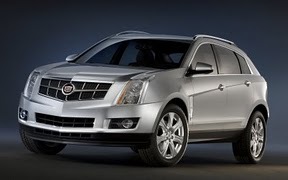 Last year, GM had announced plans to significantly reduce the number of Cadillac dealers operating in the United States, going from a total of about 1,400 at the start of 2009 to around 500 by the end of the year. However, Automotive News is reporting that those plans have been scrapped, as GM is planning on reinstating Cadillac dealerships across the country. The initial plan was created to bring Cadillac in line with luxury car lines such as Mercedes and BMW, which have a smaller number of dealerships located in major metropolitan areas. The majority of the more than 900 Cadillac dealerships that were scheduled for closure were in rural or smaller metropolitan areas, with GM focusing its growth of the Cadillac brand on larger populations on the East and West Coasts. “We think that GM realized that terminating these dealers would leave a lot of loyal Cadillac customers orphaned and not produce a material benefit in the form of increased sales,” said Ernie Manuel, president of the Fontana Group in Tucson, Ariz., a financial consulting firm for dealerships. BMW is hardly a name that comes to mind when you think of economy and eco-friendly cars. However, that might be changing soon as AutoWeek reports that the car manufacturer will be devoting a portion of its plant in Leipzig, Germany to producing a new line of electric cars. In addition, parts for the new line of Megacity Vehicles will be produced at BMW factories in Wackersdorf and Landshut, Germany. 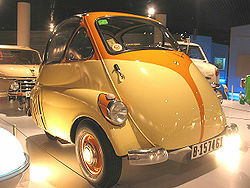 Wired Magazine reports that the new Megacity Vehicles will be based on BMW’s classic Isetta design and will meet California’s zero emissions vehicle mandate. According to published reports, the first Megacity could roll off of the assembly line in Leipzig in 2013.